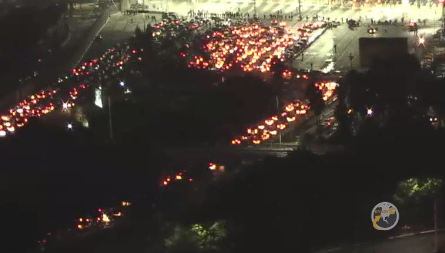 Northbound commuters from Mexico trying to pass through the busiest land border crossing in the United States found themselves stuck in line for hours after US Customs and Border Protection (CBP) officials halted traffic in order to reinforce the border amid an arriving Central American migrant caravan, reports Fox5 San Diego. 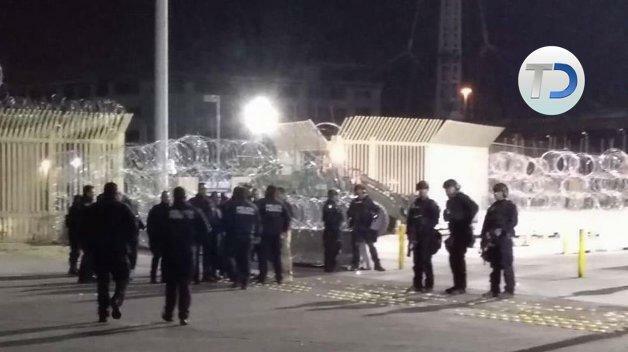 The San Ysidro Port of Entry could be seen blocked off at approximately 3:30 a.m.
"[We] have temporarily suspended vehicle processing for northbound travelers at the San Ysidro port of entry Monday morning to position additional port hardening materials," said border officials. 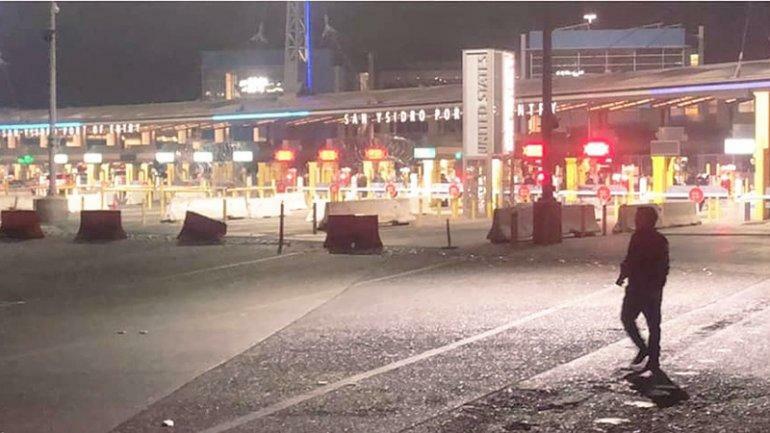 "After the materials are in position, CBP will resume processing northbound vehicle traffic in select lanes at the border crossing." By 6:30, around 10 lanes were reopened while the rest remain closed. Northbound pedestrian traffic is still suspended, according to NBC San Diego. #INTERNACIONAL | Al menos dos horas se mantuvo cerrado el cruce fronterizo entre México y EU, en la garita de San Ysidro #Tijuana, por colocación de materiales de "endurecimiento de puertos adicionales". Over 1,100 US Marines have been deployed to help CBP officials with Operation Secure Line - a "border hardening" mission aimed at preparing the southern US infrastructure for the arrival of thousands of asylum-seekers who began making their way north from Central America in early October.